Across my studies and years of education, I’ve noticed an increasing need within the scientific community to effectively communicate research that is often relevant and important to the everyday person specifically with issues pertaining to climate science, sea level rise and plastic consumption. However, this is not to say that this issue isn’t a universal one, but I have found that those that often participate in research are not the same people creating relevant content that is accessible and consumed by the masses. While the traditional form of publishing scientific findings has stayed mostly the same over the years, the way information is consumed and accessed has changed drastically creating a divide between those that are communicating and those that are being communicated with. The Scientific community has attempted to cope with this in a variety of ways but despite efforts it often feels like the information is being shared in a “preaching to the choir” manner, where the people receiving the information, reading the papers, attending conferences and talks, are the people that are already aware of the topics being discussed and already have an interest in them. While at the same time the need to reach people in other areas, perhaps with less interest but with the same amount of impact, is increasing, there seems to be an increasing disparity between the two worlds. Then there’s the art world; art has always been used to drive social change and artists have historically been in tune with the world around them and the matters at hand. As I personally have dove deeper into the world of artists sharing and creating their work via the internet, I’ve found hidden glimpses of artists that, like myself, have either a background in scientific related fields or have a serious interest in scientific subjects like biology, botany and climate change to state a few. Illustrated Research helps to both provide a platform for artist to pursue their interest in scientific topics and simultaneously bring light to a new potential medium for communicating scientific research. The quick two-word pitch for Illustrated Research is “visual abstracts”. Illustrated Research attempts to take recent scientific articles across a variety of fields and turn them into a visual, easier to digest version of themselves. Illustrated Research aspires to cover multiple platforms to provide the best experience to the consumer, provide multiple outlets for the artists, and to reach a broader audience. The blog will be a more in depth look at the topics posted on the instagram as well as artist and scientist interviews, an online store for future merchandise and products such as prints, stickers and our monthly magazine. 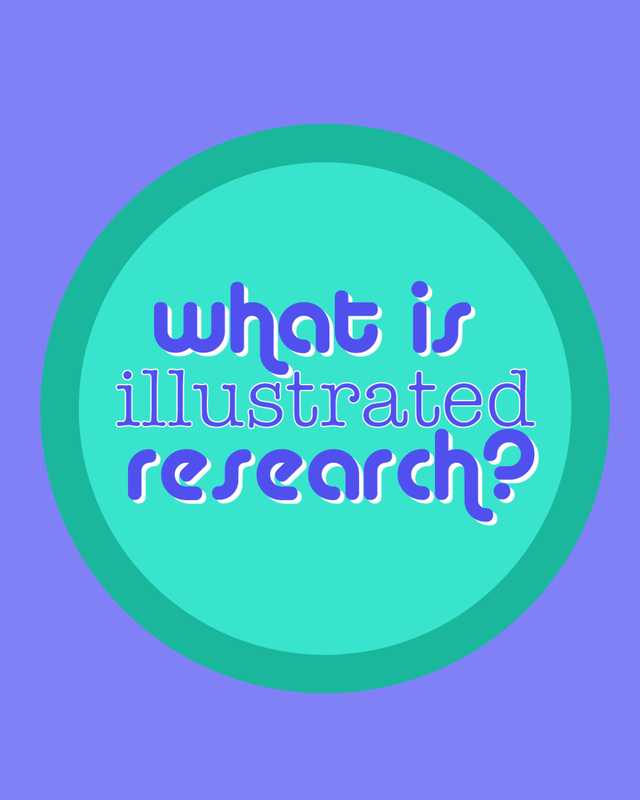 The main vision for Illustrated research is to work towards a monthly magazine full of the illustrations of that month and for it to be self sustaining. Patreon is the place where you, the reader, viewer, follower, and supporter can be a part of Illustrated research. There are a variety of tiers which you can be a part of with rewards including, stickers, a subscription to our monthly magazine, ability to suggest monthly themes, research papers, and topics for the artists to cover, as well as access to behind the scenes videos of interviews with artists and scientists, and access to livestreams where you the viewer can interact with the scientist or artist being interviewed. The vision for Illustrated Research is that through the website sales and patreon, all the money generated will go right back to the people that make it happen: the artists that contribute their work each month as well as paying back the people who support Illustrated research, you, with amazing content and relevant rewards on patreon. I hope you’ll follow us on this journey feel free to checkout our patreon and instagram linked below and I’ll be back in touch very soon!